Intel Continues #Wearables Push, Buys Recon Eyewear #WearableWednesday « Adafruit Industries – Makers, hackers, artists, designers and engineers! Intel isn’t slowing its investments in wearable technology, despite mixed signs about how quickly that market is growing. The chip giant on Wednesday said it purchased Recon, a Canadian company that has created a line of high-tech eyewear for sports enthusiasts. 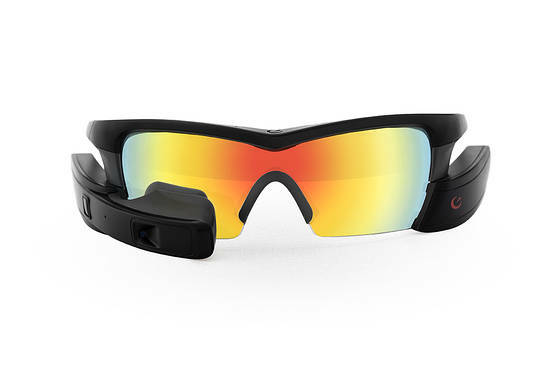 Recon’s Jet glasses, which start at $699, project information like the time and distance of a run or bike ride on the inside of the lens. It also comes with a video camera. Recon’s employees in Vancouver–totaling less than 75 people–will keep selling and enhancing Recon’s existing products while working with Intel’s New Devices Group to develop smart devices for a broader set of customers and markets, Intel said. Intel CEO Brian Krzanich, who took the job in May 2013, has vowed not to miss opportunities in wearable technology the way Intel fell behind in chips for smartphones. In March 2014, for example, the company bought Basis Science, a startup selling wrist-worn activity tracking devices, and the following December announced a multi-year collaboration with Luxottica Group in smart eyewear. The company’s interest in placing its chips in wearable computing devices shows little sign of slowing, though evidence of demand for products like smartwatches and smartglasses has been spotty. Google decided to stop selling its original Glass product following concerns such as whether users would photograph other people without their consent. Google has indicated it is working on improved versions.